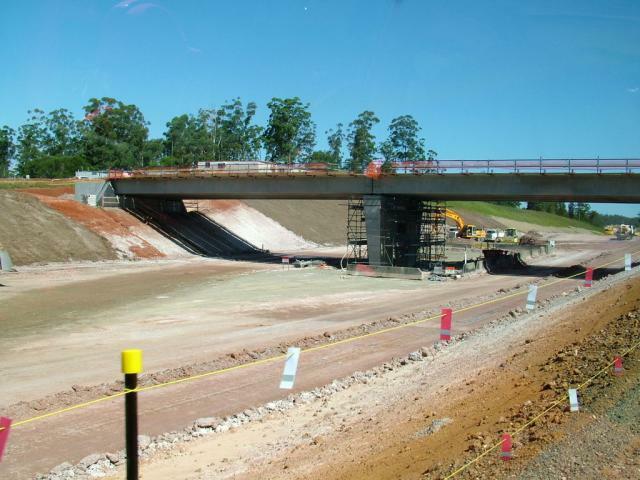 Snowy River vs Roadworks – are we still the clever country? Driving from the Gold Coast to Sydney along the Pacific Highway is like driving through an endless series of loosely connected roads. It is a real test of ones patience as every time you hit a stretch of road with two lanes and 100 or 110k speed limit, you know it is only a matter of time before the next inevitable 80k, followed by 60k and then a 40k sign, roadworks, yet again. It was one of the less pleasurable parts of my recent road-trip down and up the lower east cost of our beautiful country. On the way back north, I spent a few days in the magnificent Mt Kosciuszko National Park – home of the Snowy River Scheme – the official name of a vast network of water reservoirs and hydro electrical power-plants. The vision of the Snowy River scheme was to use the rain and snow of the massive mountain range to provide regular irrigation to rural Victoria to the south, and New South Wales to the north. The electricity generation was an added, albeit significant benefit. Built between 1949 and 1974 it is an impressive project in so many ways, more than 100,000 people from 30 nations took part in it; It consists of 16 major dams, the largest of which is 9 times the size of Sydney harbour, seven separate power stations and 225 kilometres of enormous underground tunnels. 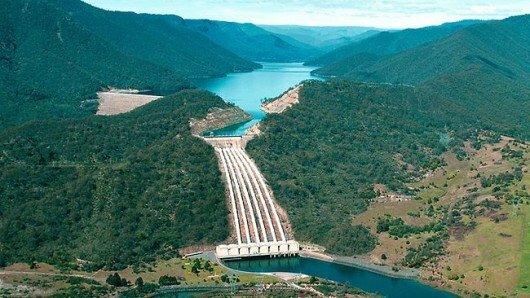 It has a unique facility to recirculate water between some of the major dams, adding to it’s allure as a super-efficient way of generating electricity without contributing to greenhouse gas emissions. But to me the most staggering number is that over the 25 years of construction it cost only 820 million 1974 dollars. Yes that is around $8 billion in today’s dollars but still quite amazing to consider in a year where the federal budget deficit alone is expected to be between 40 and 50 billion dollars! Which brings me back to the perennial road-works on the Pacific Highway which have been going on for much more than 25 years, and still seems like it is a long way away from being finished. The Pacific Highway is one of the most trafficked long haul roads in this country, but unlike the Hume Highway between Sydney and Melbourne, more than 30% of it is still single lanes in each direction. Now I don’t profess to know much about building roads, but it seems to me that building four-lane roads along what is predominantly flat country-side is actually relatively simple from an engineering perspective. Weather plays a part, of course, access to labour, the logistics of machinery, planning and putting in place alternative routes during construction, traffic management, all time consuming and non-trivial, but repetitive, measurable and rather predictable. In contrast, the immense proportions of the Snowy River Scheme was incredibly complex. Nothing like it had ever been done anywhere in the world at the time, let alone in Australia, its complexity hugely exaggerated by the remoteness and inaccessibility of the majority of construction works; Roads and whole towns had to be built, in some cases townships had to be moved so as not to be submerged when dams were filled. The Pacific Highway has been marred by delays and cost overruns, it is still many years, maybe a decade from being finished, the evidence of flawed planning and mismanagement is there for everyone to see, an apparent lack of cohesion and coordination between the various projects, and no apparent overall leadership and vision. The construction of the Snowy River Scheme was obviously not trouble-free either, its severe impact on wildlife and habitat not considered in the way I’d like to think we would today, and I doubt if some of the work practices would have passed the rigorous tests of modern Occupational Health and Safety standards. But it was a project conceived by visionaries and completed through an unrelenting drive by everyone involved across almost three decades to realise that vision for the common good, largely unfettered by petty politics. The question is, can modern Australia conceive of and complete such a project again if the ideas and the vision were there? Or would it be impossible to prosecute in an environment of short-term political leadership, endless bickering between special interest groups, a planning process drowning in bureaucracy, inflexible work-practices, big business with their main focus on tomorrow’s share-price, and union leaders with agendas all their own. Even as the perennial optimist, I fear I know the answer, maybe we are not so clever any more. 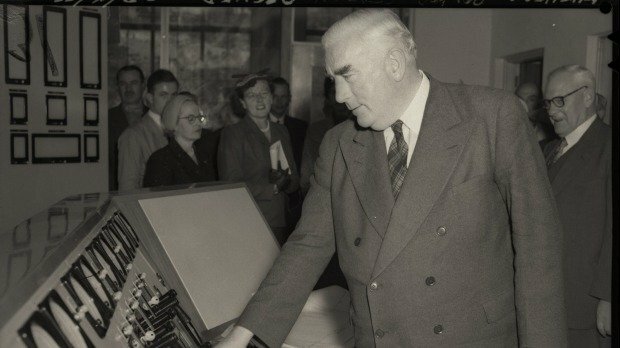 Prime Minister Menzies flicking the switch to turn on the power for the first time. Really enjoyed this article Wingnut – the comparison between the Snowy River Scheme & the roadworks on the Pacific Highway is spot on. 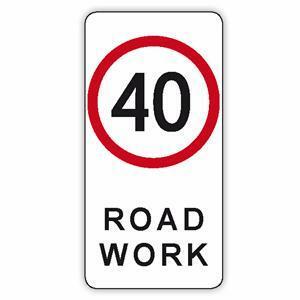 Having just travelled back up the east coast from Melbourne to Brisbane, my husband kept moaning & complaining about those roadworks & speed limits & I kept saying just go with the flow ( in other words just shut the …up) , at least they are working on the highway! Since reading your article I now realise how inefficient the whole process is these days, not realising it’s been going on for many years. That is no doubt why we’ve always driven down the Newell Highway. Great article. Really was an enjoyable read. I like learning something new about our country….$18k per metre…seriously! Wonderful to see you writing again!! Keep ’em coming Wingnut!